The Model T Ford is the car that retired the horse and put America on wheels. No radio, no heater, no power assists, only the bare necessities made the Ford accessible to many. In fact, millions were sold between 1903 and 1927. 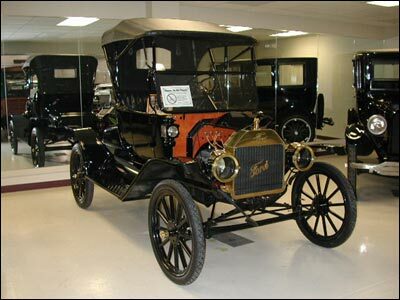 At one time, the price of a model T Ford dropped to $295, and over half of the cars sold in this country were model T’s. Until the late 1920’s, they all came in one color…black. This car has been in the Cecil Shepherd family since 1940. 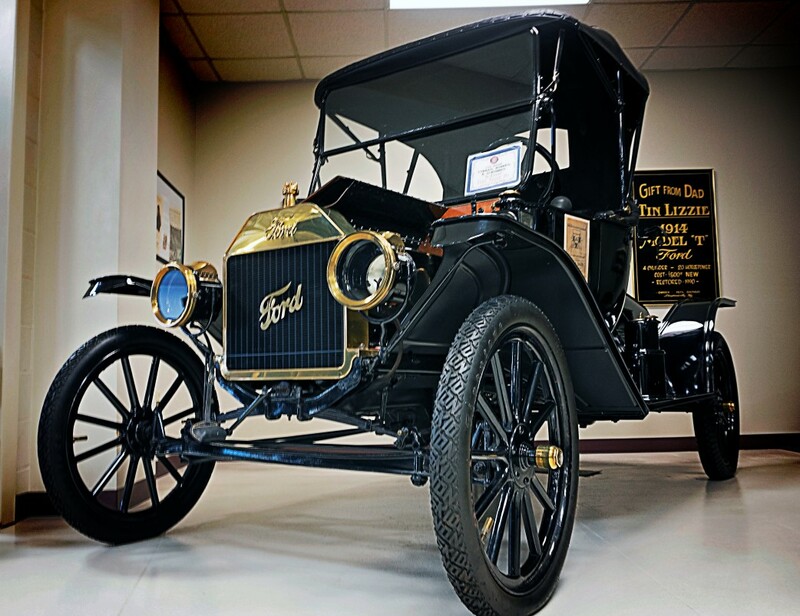 A 6-1/2 year restoration was completed in 1990, resulting in a far more beautiful car than Henry Ford originally built in 1914. Note the Carbide generator on the left running board. Carbide in the bottom and water on top produced acetylene gas to light the headlights. The cowl lanterns burn kerosene.